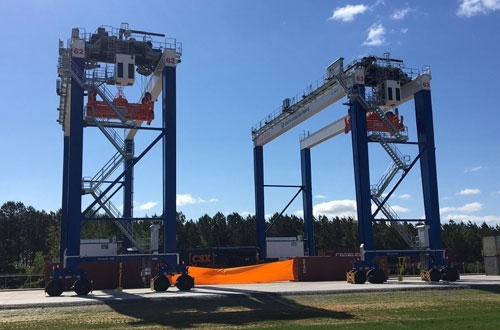 Two intermodal cranes “cut” the ribbon opening Inland Port Dillon. The South Carolina Ports Authority (SCPA) opened its second inland port, Inland Port Dillon, on April 16. 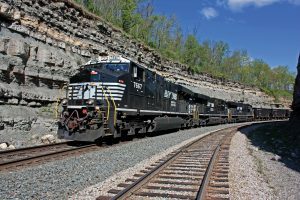 SCPA says the facility was constructed to handle strong growth for the port's intermodal rail cargo volumes and deepen its reach into markets through the Carolinas to the Northeast and Midwest. 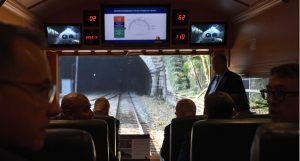 The facility will handle the growing volume of container cargo traveling to and from the Port of Charleston via intermodal rail, which SCPA says has increased 180 percent increase since 2011. Today, nearly 25 percent of the port’s container volume moves by rail. 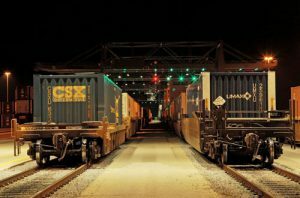 SCPA studied a second inland port following the success of Inland Port Greer. 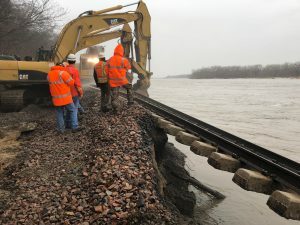 A decision to move ahead with the second inland port was made in September 2016 and a groundbreaking ceremony for Inland Port Dillon was held in March 2017.